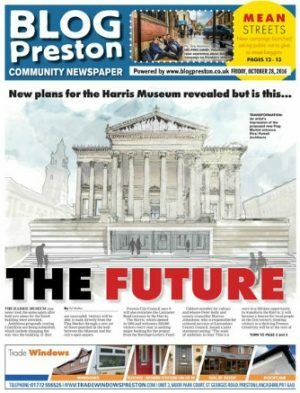 Blog Preston, an independent news website, has launched a print edition. Launched in 2009 by Ed Walker, current head of digital publishing for Trinity Mirror Regionals, the site is read by 120,000 people a month. But the site said it wanted to "take a next step" and has partnered with local charity Creativity Works Preston on a free weekly of the same name. It will be delivered to 20,000 homes in the city and is available from key points in the city centre. Luke Beardsworth, the Preston-born social media editor of the Birmingham Mail, is also a director and co-editor of the company. An announcement on the Blog Preston website reads: “This week marks a special moment for Blog Preston as we unveil a partnership we’ve been working on – to put what we do into print. “It’s baby steps to begin with but we hope you’ll enjoy having a flick through a week in Preston and by partnering with Creativity Works we’re also able to give young people the chance to get excited and learn about media production. “We’re a Community Interest Company and our main aim is to ensure the city of Preston is kept up to date – and although we reach a lot of people each day on the site we felt this would be a good way of promoting the site but also reaching people that we haven’t yet." Experienced newspaper designers Murray Walker and Tristan Freeman worked on production of the paper.